Got an email regarding small centre intake mentioning that the area's I selected are no longer being considered. It also mentioned to apply for a new intake that had a larger selection process. Anyone else get this email? Yea, I received this email today as well. Pretty sure half the people that applied got that email. It was then revealed to be an administrative error. Keep your eyes peeled for a follow up email. Thanks! Maybe I'll shoot them an email and see if there is any progress. Looks like our timelines are quite close! I'm really hoping for an invite for 2019. It seems there will be a 13D class in April. If so invites must be in 2 weeks already. Great to hear! Hopefully the clearance comes in before then. Hello, could you tell me from which region you are applied from? I passed my interview in December, but still have not booked for a psychological test yet. How did you receive the notice for the test? By email or phone call. Thank you. Look at my signature. Also, be patient. Look how long I've been waiting for. My guess is February 18th. 4 weeks online and 2 weeks in between April 8th. So maybe invites as soon as next week! I see that the CBSA are hosting two recruitment events near the end of January - I'm curious if anyone can explain what to expect at these events and if it is worth going? I'm sure it is worth going of course, just is a little bit complicated with working typical office hours. However, if people strongly suggest it is worth it, I will be there! 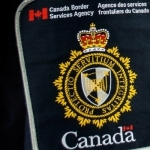 It's typical job fair stuff - there is a recruiter agent at the table that's available to answer any questions you have about the job, to offer info to people who are thinking about applying and to encourage students and others to join the CBSA. I went to clarify some questions about the process and what a working day is like at Border Services. I found it extremely helpful as I had specific questions and one can only find out so much online. But if you don't have the time I don't think it's necessary - the basic stuff is available to anyone and the message board provides some insight. On the other hand, if you go you will score some free swag! Anyone else still waiting for the interview invite? I wrote the OTEE in Sept. I applied in April 2018 and did not get my interview until December. Buckle up. Appreciate it. Patience is key. I applied for the 16-BSF-EA-NBSO-FB-006 about 2 and a half years ago. Was not successful in the psychological testing. My question though is, if you are not successful and reapply do you get inserted back to where you left off at (in my case the psychological testing/interview) or do you have to start the whole process over again since their is a new job posting. Hey, I've heard this form an agent. So apparently, if you failed in the past, at any moment in the application process, you can reapply for the NEW program that started. Since it's a new process, also shorter, they don't take in account if you failed in the past. You can apply even if you already applied on the previous selection process. You will have two job posting open. I just finished applying on it even if I am already in the previous process. I think it opened today. Hurry up before they close it. I mean I have not booked for psychological assessment yet. I see most people have their assessment within a month. Just do not want to miss anything.